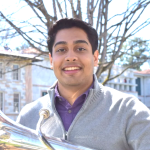 Rohin Aggarwal is from Macon, Georgia, where he studied euphonium with Jonathan Baker. He's participated in the Emory Wind Ensemble since his first semester in the fall of 2012 and currently studies euphonium performance under Adam Frey. A Chemistry and Music double major, Rohin will be graduating in May and will attend medical school in the fall. At the moment, his favorite piece for solo euphonium is Symphonic Variants by James Curnow. When he isn't in a practice room, he enjoys cooking, running, and putting his barista certification to the test. 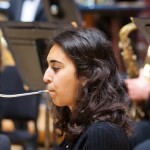 Mehvish Khan, of Lakewood, New York, joined the Emory Wind Ensemble as a freshman in 2015. 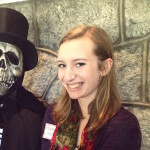 She has studied bassoon with Mrs. Becky Botsford, Ms. Jennifer Bruening, and currently Dr. Shelly Unger. She is looking at a potential double major in economics and international studies. 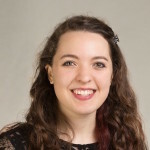 A member of the Model United Nations team, she won the award for Outstanding Delegate in her committee at a conference at Yale this past fall. 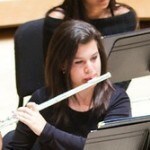 Moncayo's Huapongo is one of Mehvish's favorite pieces that the Emory Wind Ensemble has recently performed. Apart from her musical and academic activities, she loves to write and is SCUBA certified. 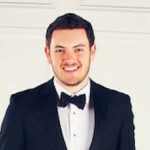 Josh Pynn, from Atlanta, Georgia, joined the Emory Wind Ensemble in the fall of 2015 as a freshman. He has studied with John Warren, Clarinet Professor at KSU, and currently with Jeffrey Brooks. He is pursuing a degree with a dual concentration in Music Performance and Economics. He recently led a marching band in the London New Years day Parade, and performed in Carnegie Hall. His favorite works include The Light Fantastic by Andrew Rindfleisch, and The Rite of Spring by Igor Stravinsky. Outside of music, Josh enjoys to play golf and tennis, and is an avid gamer in his free time.